You’re thinking about whether to invest in silver – but what now? ➜ How do I invest in silver? ➜ I’m ready to invest. Where do I start? Precious metals can be a great investment, especially with so much uncertainty surrounding the global economy today. But with any type of investment, you need to do your homework first to ensure you understand your options and know the best way to proceed. What types of silver should I be investing in? How can precious metal investments benefit my situation? Should I be investing for the short term or long term? How does a silver investment compare with gold or other precious metals, like platinum and palladium? What’s the best option if I am planning for retirement? Where can I buy silver, and where should I store it? By doing a little research and seeking the guidance of industry experts, you’ll be able to eliminate risk, invest with confidence, and secure a brighter financial future.Even the most experienced investors have these same questions, which is why it’s critical that you get answers first – regardless of your experience with precious metals. One of the critical first steps to investing in silver is to determine where and how you’ll be making your investments. This is where it pays to seek the help of a respected precious metals company. A skilled silver specialist can identify the best investments for your goals, answer your questions, help you make your purchases easily, and keep you updated on the growth of your portfolio. 1) Find the right precious metals company. Investing in precious metals shouldn’t involve shady dealers or questionable companies that are based overseas. You should only work with a reputable, established firm that has extensive experience in the industry. ➤ Verify the credentials of each firm before making an investment of any kind. ➤ Check the Better Business Bureau (BBB) to see if the business is rated, or if there are consumer complaints. ➤ Ask for testimonials, references or information on other clients who can vouch for the company’s expertise, service and investment options. ➤ Avoid companies that pressure you into making investment decisions. ➤ Look for firms that offer a variety of options, such as silver coins, gold, and precious metals IRAs, so that you are not forced into any single investment. Your initial conversations with a precious metal specialist should give you a good idea of the customer service you can expect to receive if you decide to move forward. This is the time to get all your questions answered and evaluate the company on their knowledge and commitment to helping you reach your goals. After you’ve received information on your investment options, review each one carefully to find the right fit for you. A good precious metals company will also help you determine how to invest in silver so that it meets your specific financial goals. By the time you are ready to invest in silver, you should be completely confident in your decision and in the firm you’re working with. If you have any questions or concerns, get answers before moving forward. Investing in precious metals should be a smart decision that makes sense for your situation and gives you peace of mind. You should never feel pushed into making an investment you’re not sure about. Silver and other precious metals, such as gold, have numerous advantages over risky stock-market investments. ➤ Silver adds diversification to your portfolio, thereby protecting you from the decline of other markets, which have been highly volatile in recent years. ➤ As the U.S. dollar declines, precious metals tend to increase in value. Silver can therefore be a great way to protect your purchasing power in the future and hedge against inflation. ➤ Silver has significantly increased in value over the last decade, and more growth is expected. Consider this: a $100,000 investment in silver in 2002 yielded over $600,000 in 2012. As the demand continues to increase, and supply diminishes, many are predicting further bullish gains for silver. An IRA backed by physical silver and other precious metals. Each option has its own unique advantages. A mix of bullion and numismatic coins provides the greatest diversification and growth potential – and you can invest in both as part of an IRA or as a cash purchase for personal possession. An experienced precious metals specialist will help you determine which options are right for you. 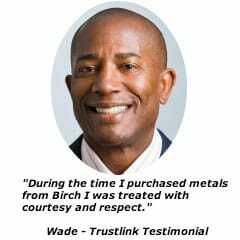 As a leading precious metals company, Birch Gold Group can provide you with vast expertise on precious metals, as well as superior customer service. Birch Gold Group is rated A+ by the Better Business Bureau, and we are known for our steadfast commitment to helping clients achieve their investment goals – without any high-pressure sales tactics. Our mission is to educate you on your options, so you can make an informed, confident decision that is aligned with your financial goals. Whether you’re a first-timer or an experienced, high-end investor, we can help you protect your savings and guide you along the right investment path for your needs. 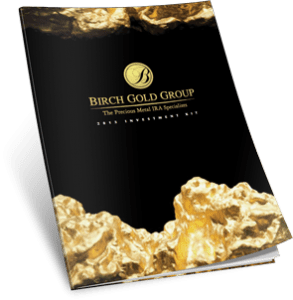 Call Birch Gold Group at (800)355-2116 or fill out the form on this page for more information on how to invest in silver.